Bailey Adams is running for her life . . . again. When Bailey Adams left Logan Point two years ago she thought she was getting away from her problems. Running into her ex-fiancé Danny Maxwell was not part of the plan--neither was being chased through the city by the local drug cartel, the Calatrava. Now despite her best efforts, Danny is her only chance of escaping the people chasing her and getting back to Logan Point safely. Can Bailey find the strength to face what's coming? And in the midst of the chaos, can she keep herself from falling in love with her rescuer all over again? 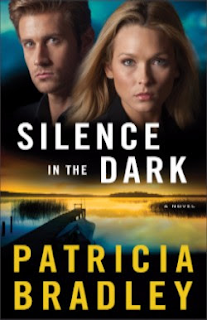 With lean, fast-paced prose that will keep you turning the pages, Patricia Bradley pens a superb story of suspense and second chances. 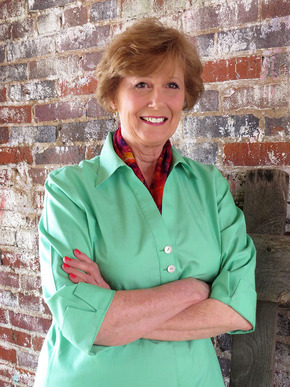 Patricia Bradley is the author of Shadows of the Past, A Promise to Protect, and Gone without a Trace. Bradley has been a finalist for the Genesis Award, winner of a Daphne du Maurier Award, and winner of a Touched by Love Award. Bradley is a published short story writer and cofounder of Aiming for Healthy Families, Inc. She is a member of American Christian Fiction Writers and Romance Writers of America, and makes her home in Mississippi. Learn more at www.ptbradley.com. This is an excellent mystery/thriller. It was a little slow, I thought, in the beginning pages and at first i thought the romance was going to be typical, but I was wrong. If you find yourself thinking this is too slow for you in the beginning, don't give up! Once it picks up, it really picks up and it's a great story! Bailey is caring person who has believed for too long the lies she was told as a child. She also lives with a horrible childhood incident that continues to haunt her. She seems to keep on running from things that feel uncomfortable, including love. She has been in Mexico working at a school and is on her way back to the states with one of the children from the school to visit her grandparents when the bullets start flying and her life, and the child's life, is in danger. Danny is Bailey's ex-fiance and they run into each other in Mexico. Through the dangerous circumstances, they are thrown together again. I really like Danny because he is a man of principle and loyalty. His faith is very strong and a real part of who he is. There are a lot of people in this book that bring it to life. I was never sure who the main bad character was and was amazed at who it was in the end. I love a book that keeps me guessing. I read this book into the night and lost a lot of sleep because it is that good. If you love a good mystery with some good romance, this is definitely the book for you! I highly recommend it!